CompTIA CSA+ courses launches on 15th Feb 2017 to bridge the skills gap between CompTIA Security+ and the CompTIA Advanced Security Practitioner (CASP) exam and creates a vendor-neutral certification. 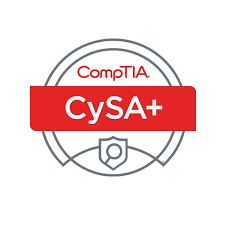 CompTIA Cybersecurity Analyst (CySA+) is an international, vendor-neutral IT professional certification that applies behavioral analytics to improve the overall state of IT security. It validates the knowledge and skills required to configure and use threat detection tools, perform data analysis and interpret the results to identify vulnerabilities, threats and risks to an organization, with the end goal of securing and protecting applications and systems within an organization.